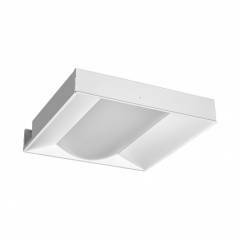 Commercial-grade, recessed, lay-in T-Bar troffer featuring a wide curved lens for even light distribution. This fixture offers a modern architectural styling with a high visual comfort. Click HERE for more information.